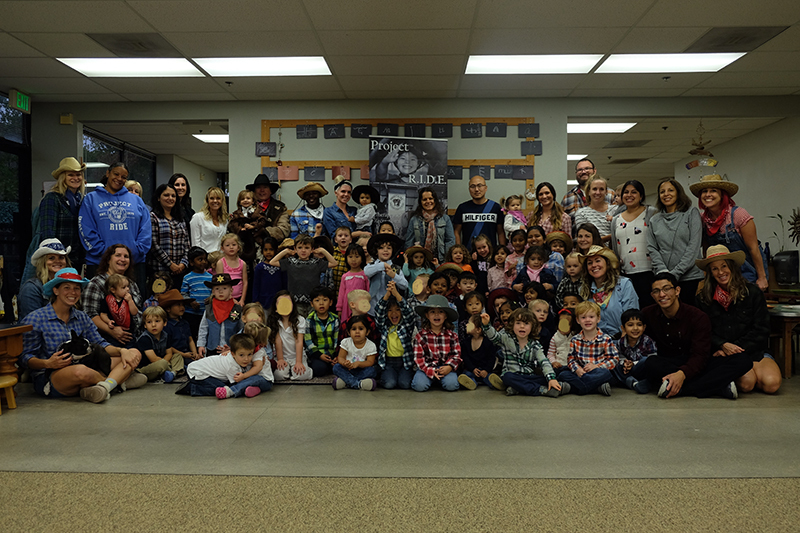 The 60 preschool students at Madrone Montessori, located in El Dorado Hills, didn’t get candy in their bags during their annual Trunk or Treat event. Instead, the students and parents took part in a community service activity the school called Gather and Give. 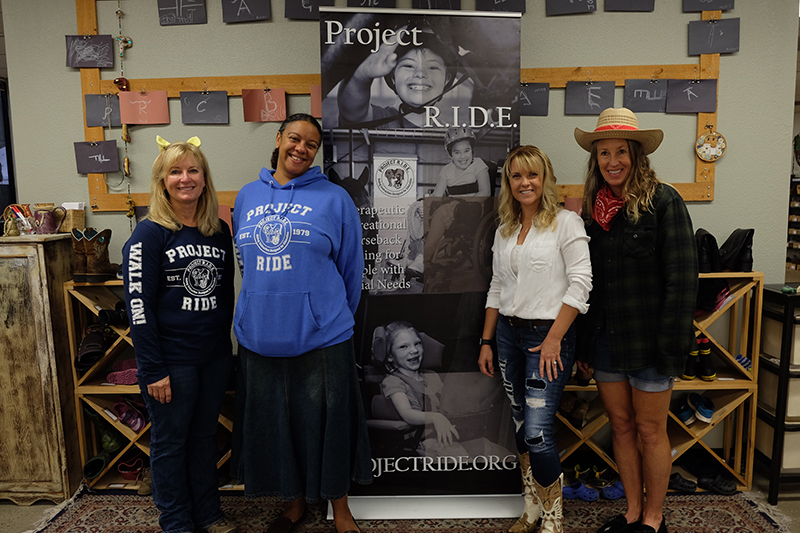 During this event, the students, dressed as cowboys and cowgirls, walked around to western-themed stations and gathered much-needed supplies for a local non-profit called Project R.I.D.E. After the students collected all the supplies from the Gather and Give circuit they walked their bags over to a Project R.I.D.E. booth and deliver them to Marisa DeSalles, the Community Outreach Manager for the organization. 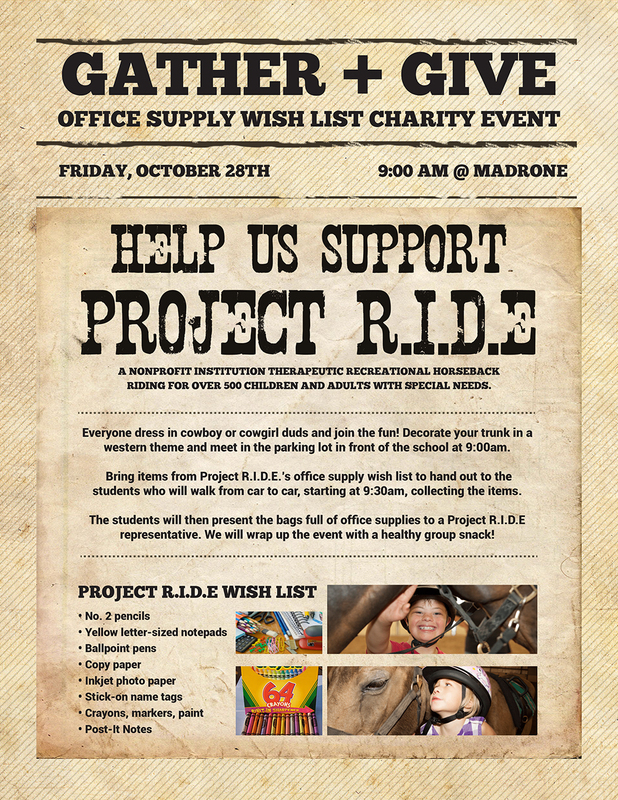 Prior to this event, the Madrone Students spent two weeks learning that Project R.I.D.E. Inc., is a non-profit located in Elk Grove which provides therapeutic recreational horseback riding instruction to over 500 children and adults with special needs. They learned about the valuable services that this organization provides and participated in community service projects that benefited Project R.I.D.E., including making “cookies” for the horses and decorating custom-built bird houses that were sold at Project R.I.D.E.’s first craft bazaar. 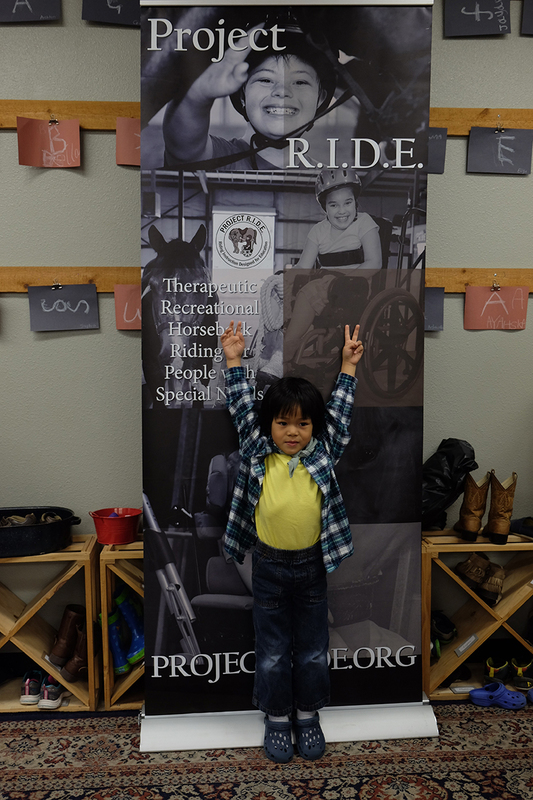 Prior to this event, the Madrone Students spent two weeks learning that Project R.I.D.E. Inc., is a non-profit located in Elk Grove which provides therapeutic recreational horseback riding instruction to over 500 children and adults with special needs. They learned about the valuable services that this organization provides and participated in community service projects that benefited Project R.I.D.E., including making “cookies” for the horses and decorating custom-built bird houses that were sold at Project R.I.D.E.’s first craft bazaar. They learned about the valuable services that this organization provides and participated in community service projects that benefited Project R.I.D.E., including making “cookies” for the horses and decorating custom-built bird houses that were sold at Project R.I.D.E.’s first craft bazaar. 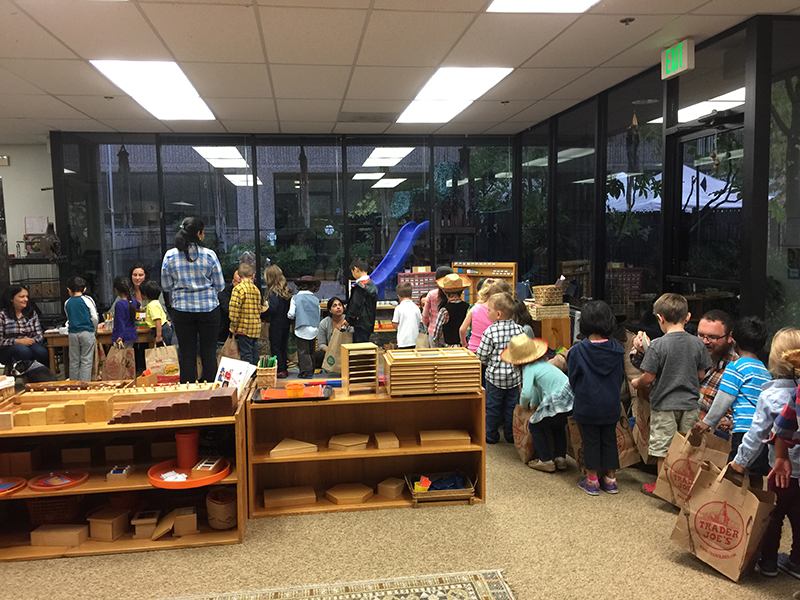 Students at Madrone Montessori are really familiar with participating in community service projects. In fact, every week the students learn about a different non-profit related to their current unit of study and do a project for that non-profit. Their last unit of study focused on the Hawaiian Islands and they did things including sending decorated flip flops to Keiki Cupboard in Maui to adopting a turtle named Goliath from Three Ring Ranch in Kona. This month the students are learning about California and cattle ranches. In addition to collecting and donating supplies to Project R.I.D.E., the Madrone students will be learning about The Center for Land-Based Learning and the first urban farm in West Sacramento. Their last unit of study focused on the Hawaiian Islands and they did things including sending decorated flip flops to Keiki Cupboard in Maui to adopting a turtle named Goliath from Three Ring Ranch in Kona. This month the students are learning about California and cattle ranches. In addition to collecting and donating supplies to Project R.I.D.E., the Madrone students will be learning about The Center for Land-Based Learning and the first urban farm in West Sacramento. Madrone added community service curriculum to their weekly studies when a parent, Kelli Plevyak, was discussing a non-profit that she is involved with to the school director, Krista Campbell. Kelli is the Vice President of the Board of Directors for Little Hands Can, whose mission is to connect children with opportunities to serve their communities and make a positive impact. Krista, being well versed in the life-long benefits that children receive when they are involved in community service from a young age, immediately started brainstorming ways to incorporate the valuable lesson of helping others into the student’s regular curriculum. Krista and Kelli reviewed the community service practices at businesses and local schools and realized that many only participate in one or two community service projects per year. Collaborating with the teachers at Madrone, Krista and Kelli started working on a plan to incorporate community service activities in a much more regular fashion. 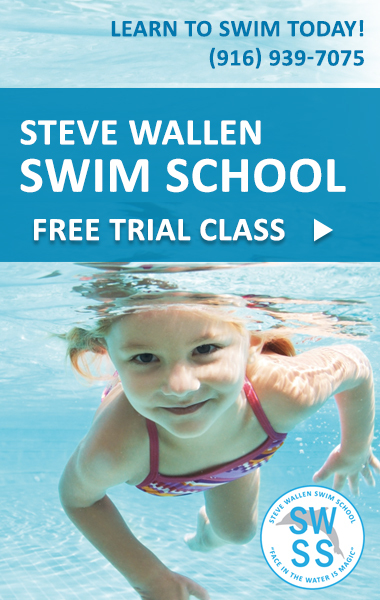 Fast forward to today and the weekly lesson plans are rich with activities that show the students that they are not too young to make a big impact. The school also sends out a monthly newsletter which features a section called Simple Service for Little Hands which is inspired by projects that are published on the Little Hands Can website and provides service-related activities that parents can do with their children. This addition to the student’s education has already made a positive difference, not only for the community (both near and far) but for the student’s themselves. In an environment where giving is also receiving, everyone benefits! Previous ArticleBeached Boat on Folsom Lake?